Description: Bold criss cross statement piece in 14k gold overlay and channel set CZ stones. Dare to shine with her in an event or simply have her on at work to splash some joy and sparkle around the office. 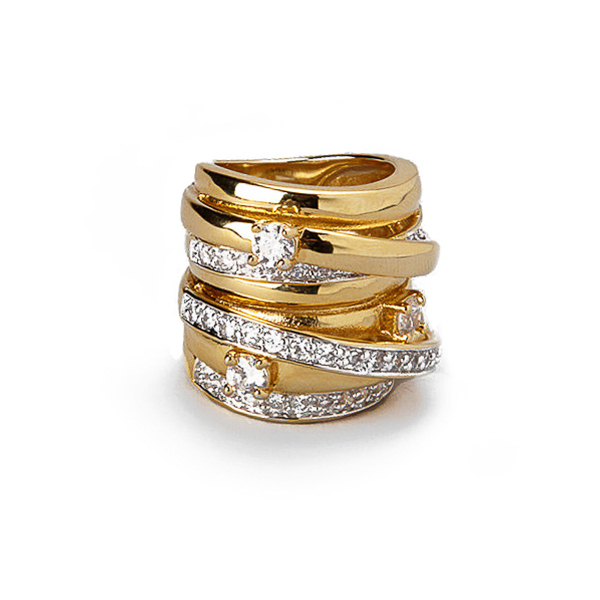 Material and Measurements: 14K Gold Plated Base Metal, Cubic Zirconia - Focal Point 1" X 1"
Enter Quantity for R-AE021 to add to your shopping cart.